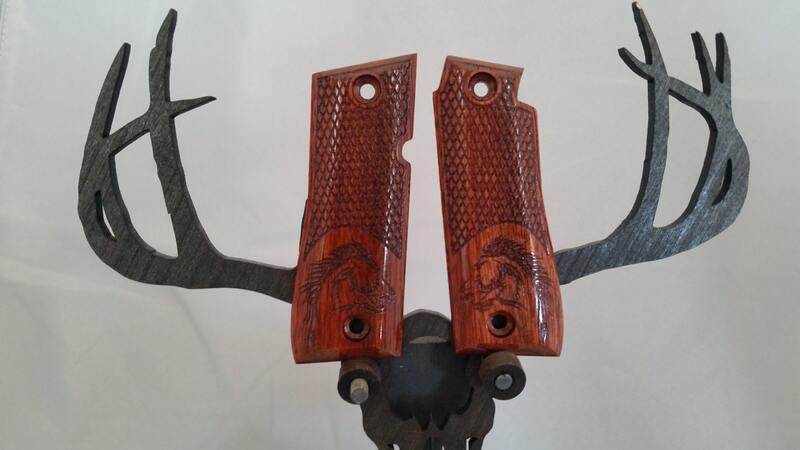 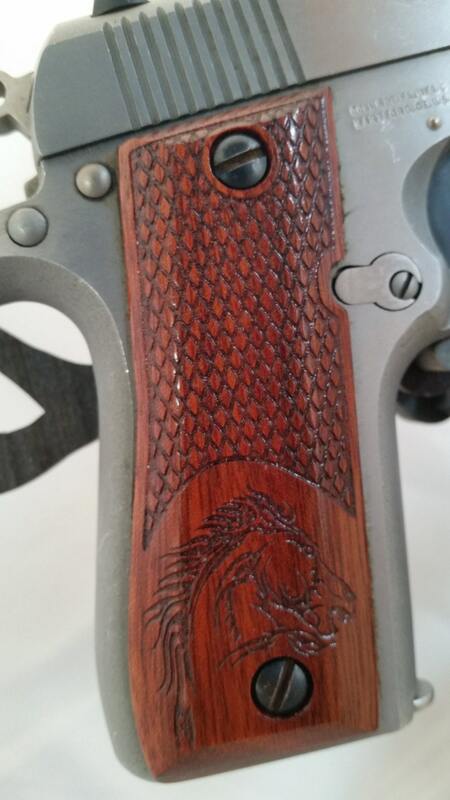 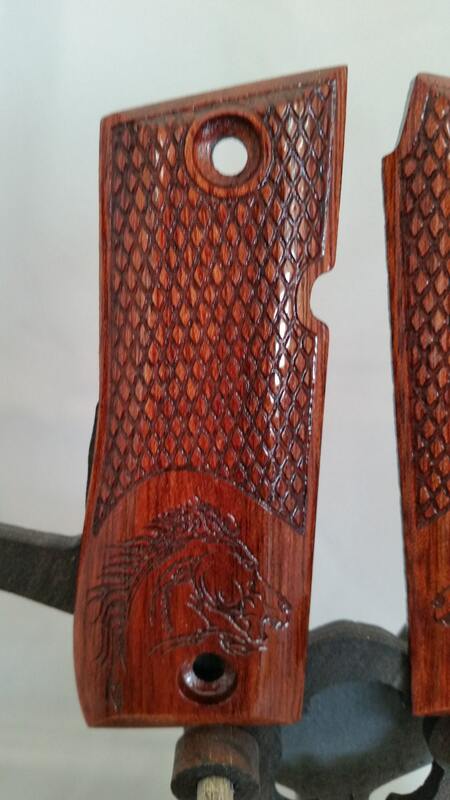 These are engraved with a Stylized Celtic Tribal Colt/Horse on both panels, giving you an original and beautiful addition to your gun! 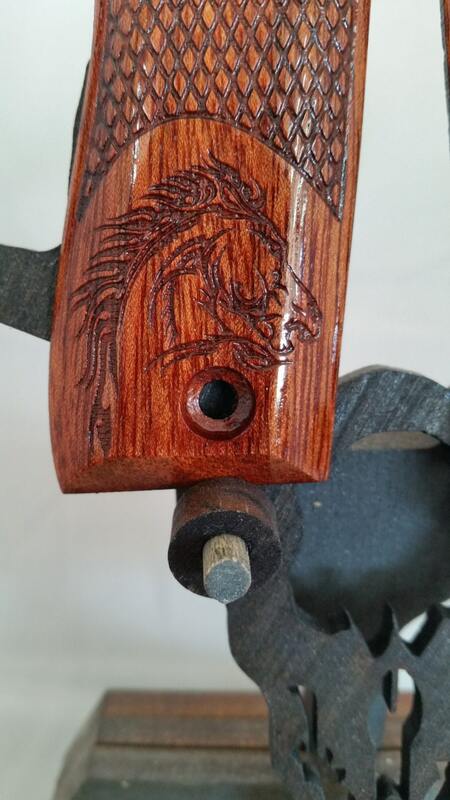 These are made from Bloodwood, but if you are unsure what you would like, send me a message, and I can show you what all the different wood options look like. 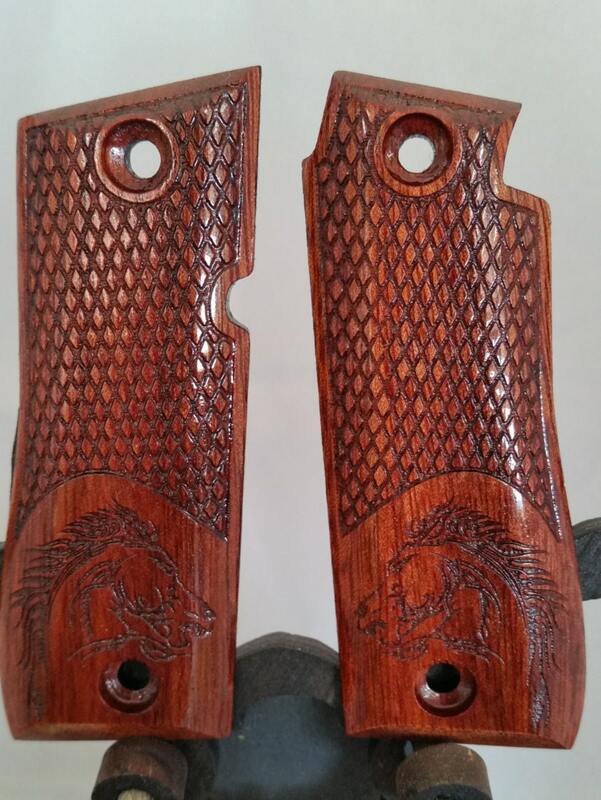 These are hand sanded to a glassy smooth finish, and then finished with 5 coats of tung oil, to give them a beautiful, durable, and lasting finish.